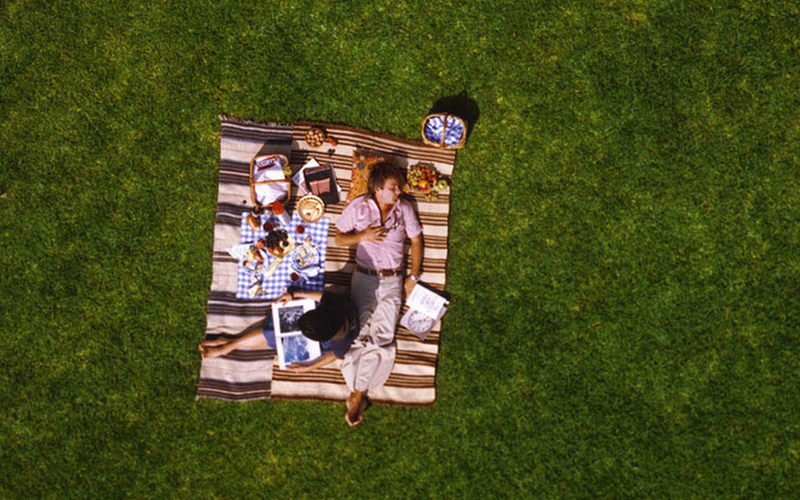 In Ray and Charles Eames’ classic short documentary, Powers of Ten, we happen upon a couple in a park, enjoying a picnic and a nap. The camera zooms out. The camera pans up ten meters to the edge of the park, then 100 meters, where the cars disappear as bespeckled dots. At 1000 meters, the lake shore comes into view. 10,000 meters sees the whole of the Great Lakes. At one million meters, the earth is a solid sphere, and by ten million meters dissolves into the distance. 100 million meters out, the earth twinkles as a far-away star. And so it goes, all the way to 1024: 100 million light years away, where groups of galaxies cede to inexhaustible emptiness. There is a pause. The camera zooms in, rapidly moving from the galaxies to the earth to the Great Lakes to the grassy field to the hand of the sleeping man, and further still, piercing beneath his skin to his collagen, to the red and white blood cells, to the nucleus to the protons, electrons, and quarks. 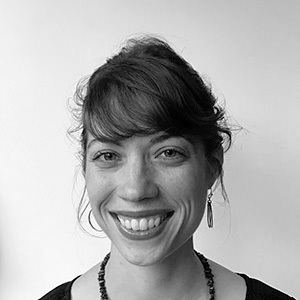 What's ethnography & co-design got to do with it? In a mere nine minutes, the Eames remind us, that as wholly insignificant as humans are, we are a frame of reference from which to grapple with both the vast and the microscopic. When people wonder (as they did in a workshop last week) what ethnography & co-design have to do with systems change, my mind returns to that patch of grass. We must start where we are at – with a man and a woman on a picnic blanket basking in the sun – and reimagine relationships and connection points from there. We must defy the temptation to get lost in the bigness of problems or the smallness of already defined solutions, and instead ground our understanding in that which is tangible and from which we can begin to grasp the intangible. Ethnography is one method for mediating the distance between the tangible and the intangible, between what people say and do and what they think and feel; between people as autonomous agents and social constructs; between the psychological and the environmental. Co-design and prototyping, in turn, are methods for closing the gaps — by experimenting with how policies, metrics, resource flows, platforms, services, tools, spaces and rituals can shift beliefs, logics, powers, structures, and behaviours. We’ve spent much of the last five years using these methods to co-create a new reference point, which we’ve called Kudoz. At face value, Kudoz might look like just another program for people with developmental disabilities. Look again, and just like the couple in the park, see it as a jumping off point from which to re-imagine risk, safety, roles, relationships, expectations and accountabilities. How so? Well, Kudoz actually isn’t a program; it’s a platform connecting users to hundreds of learning experiences hosted by passionate community members. That’s significant because programs typically centralize risk, deciding what’s best for all users, whilst our platform tries to thoughtfully re-distribute risk by enabling users to make informed choices using vetted information and peer reviews. (That said, we do have some minimum standards: all community members undergo a criminal records check). Giving users autonomy over what experiences they choose on the platform also means giving community members autonomy over what experiences they offer. Designing roles with the same underpinning values helps to create a more equal basis of exchange, and shifts the typical helper-recipient dynamic. Users of the platform aren’t recipients of help anymore than community members are givers of help. Co-learning is the basis for reciprocity; not caregiving. Unlike traditional volunteer programs, we’re not turning community members into mini-professionals and we’re not creating role dichotomies. 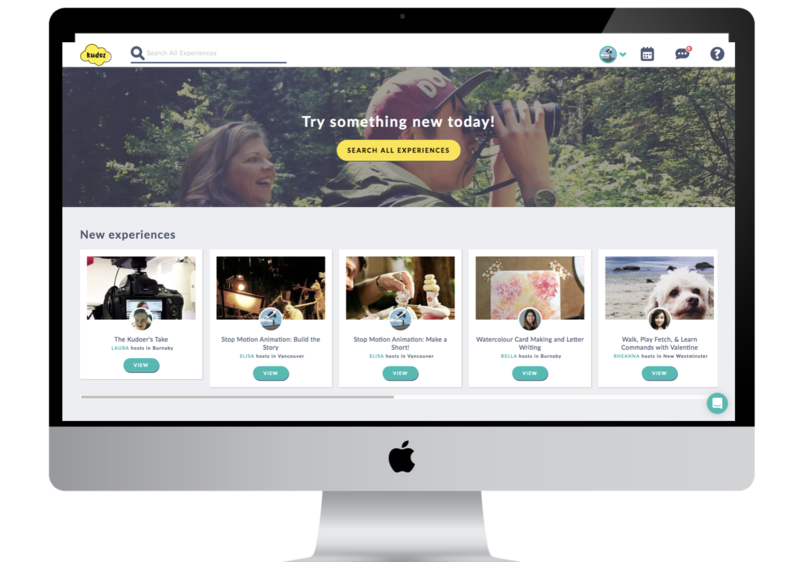 Users can also host experiences. Our working hypothesis is that having a reference point for a different social contract serves as the ‘thing’ from which to zoom out to family, community, employers and government procurement, and zoom in to identity, motivations, and sense of self and future. Kudoz isn’t the solution; it’s an anchor for a constellation of interactions. Just like the study of the cosmic and the cellular, it takes time to zoom in and out, sense patterns, and unearth connections. Whether political cycles and short-term resourcing afford the time for new social reference points to emerge, let alone flourish, remains to be seen. Lately, many of the signs in Canada point to contraction, to retrenchment, to a fall back from ambition to moderation and expediency. Indeed, after five years in Canada, and heaps of labs, hackathons, workshops, practitioner gatherings, system maps, conferences and un-conferences, I’m hard pressed to point to more than a couple of new reference points for disruptive change: to concrete ‘things’ that exist and are changing experiences at the individual, family, and social level. That are slowly moving from the power of one to the power of ten. Tethering big ideas to concrete ‘things’ is the crux of what we at InWithForward try to do. ‘Try’ is the operative word. Since 2015, we’ve prototyped 30 new concepts — from roles to campaigns to practices — but we can point to only four that continue to exist as actual reference points, slowly reshaping daily experiences, power dynamics, and flows of information and resources. So we’re trying again. 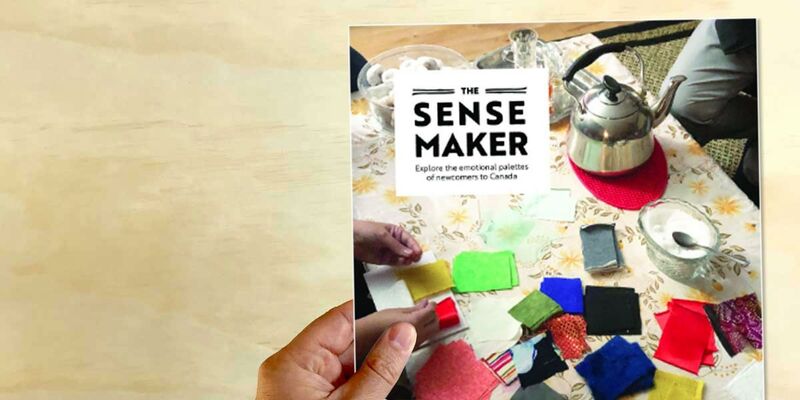 In our latest publication, see how we’re zooming into the emotions of newcomers, delving into the cacophony of feelings, and linking what goes on inside people’s heads to family mores and cultural expectations — all so we can begin to generate and prototype ideas that bring to life a different conceptualization of mental health. Read how we’re bringing together the psychological and the environmental to find opportunities for concrete change. It may look decidedly small in the face of monstrously big issues. And it is. But, until a more convincing theory of change comes along, we still believe starting somewhere is better than starting everywhere, or worse, nowhere.